For as long as I can remember, I have always enjoyed all kinds of live performances – Broadway shows, concerts, plays, ballets and musicals. I always believed that part of being a well-rounded person is to embrace the performing arts. I love when you first arrive at a venue, you can instantly feel the excitement in the room. Sitting in the audience and watching the talent and raw emotions of performers bring to life a story or a song is priceless to see. It’s an energy that brings me to a place where possibilities are endless. Whether it’s for a date night or ladies night out, I love getting dressed up and putting on my favorite heels for a fun evening of entertainment. However, one type of performance that I have not had the privilege to see has been an opera. I never quite imagined myself at an opera and I always thought maybe that it was the one thing that was not for me. I guess I had the stereotype in my mind that operas were only for the rich or those that spoke French or Italian. But boy was I wrong. 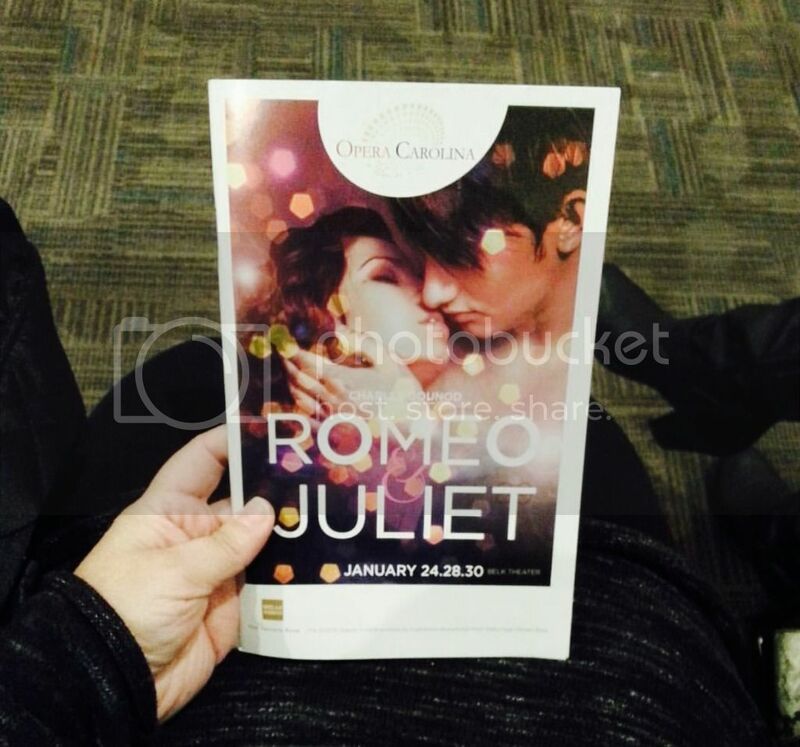 I recently had an opportunity to attend Romeo & Juliet presented by Opera Carolina – Belk Theater at Blumenthal Performing Arts Center in Charlotte, NC. I had never seen a live opera before so of course I was excited to go and open my mind up to a new experience. I was thrilled to be at one of my favorite theaters – Belk Theater at Blumenthal. Once we were seated, the lighting dimmed and the curtains went up, and we were immediately transported back into the period time of Romeo & Juliet. The opera itself was about 3 hours long with one intermission. The set was beautifully arranged with period pieces. What I loved the best was the subtitles at the top of the stage that helped me to follow along since the opera was spoken in French. Some would say that the subtitles were a little distracting but for a newbie like myself I thought it was helpful to be able to read what was going on. The cast was amazing, Juliet was played by Marie-Eve Munger, and Romeo was played by Jonathan Boyd. The emotions and feelings they both portrayed on stage made you feel like you were part of the story. The timeless tale of star-crossed lovers we are all so familiar with, in honor of the 400th year of Shakespeare. This interpretation by Gounod, sung in French, features a dynamic, young cast sure to bring the centuries-old story to life. For my first experience at the opera – it was amazing. If you are anything like me and love to try new things, definitely see an opera. Check out Opera Carolina website for scheduled performances in the Charlotte area. And better yet when there is another performance at Belk Theater at Blumenthal Performing Arts Center you can count on me being there again too! « TobyMac Hits Deep Tour at Time Warner Cable Arena #Giveaway!